Let’s say after reading our latest articles on content marketing and blogging, you are ready to incorporate both into your overall marketing strategy. But you might be reluctant to take the first step. Sometimes there are reasons people hold back from blogging, and one of them is finding enough topics to blog about. Coming up with ideas doesn’t need to be a chore, it just takes some thought and practice. Here are some ways to start thinking about topics your audience will value. To begin, let’s establish what not to blog about. One of the tenets of content marketing is creating content that pulls your audience to your brand. So a blog is not the place to blatantly plug your services and products all the time. 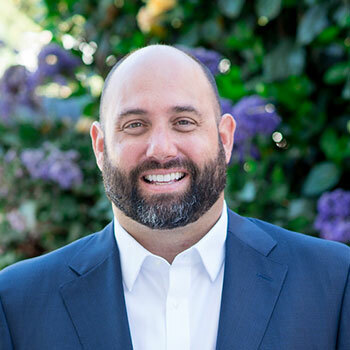 Jay Bauer of Convince and Convert explains, “The best content transcends the transactional, and finds a way to help people in a way that is relevant, but not obvious.” Creatively writing to your audience’s interests will allow you to bring up your services in a more natural way. Posting about specials and events is appropriate as well, as long as those posts are mixed up with other types of content. Think “inform” instead of “sell”. Blogging is not a short term solution either. Just like SEO, blogs take a while to develop so stay consistent with the type of content you provide and keep posting. Blogging is also not finished when a post is published, you have to reach your target audience. Blogging is just as much about promotion as it is creating content. We will explain about growing readership more in another post so start thinking about the best platforms you can use to promote your blog. The process of blogging consists of creating goals, generating topics, filling out an editorial calendar, writing posts, promoting posts, and analyzing those posts. Begin with the marketing goals you have for the blog and create topics that will help meet those goals. Then create posts from the general topics that will have appropriate calls to action, ex: marketing goal is to increase teeth whitening, write several posts about teeth whitening all linking to procedure page and asking readers to schedule appointments. Creating ideas for posts helps when you have a specific goal you are trying to reach. 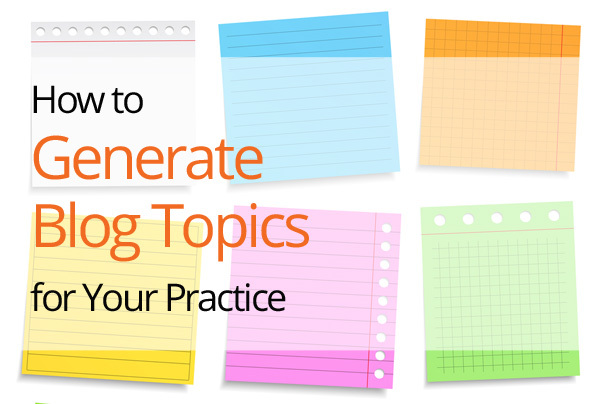 The first thing to do when generating blog topics is to make an editorial calendar. Use a spreadsheet or calendar and plan out when your posts will be and what they will be about. Take into account seasonality, holidays, and the cycles of your practice to create relevant topics. Section your content into monthly or daily themes, ex:Thursday is FAQ day or November’s topic is fillers. Start with these ideas for finding blog topics, it will become easier as you start blogging and you will start to identify blog topics in your daily life. Patients might as the same questions when seeking information about procedures, identify that as an opportunity to help educate your audience via your blog. This is how you show your knowledge while providing education, value and establishing trust with your readers. Your office: Ask your practice manager and nurses what patients ask them, it might be different than what they ask you! Brainstorming with multiple people from your practice will give greater variety and different perspectives of the patient experience. Forums: Sites like Real Self and Plastic Surgery Spot have patient forums where patients ask their questions and document their recovery experience. For other healthcare specialties you can do a quick search to find forums in your area. Patients might not be aware of the latest technology or developments in new procedures. That’s where you can help them out and let them know of current events in your field that would interest them. Your practice: Tell your readers about new products or procedures you are offering and the backstory of why you chose them. Local news: Your community is probably the main source of your patients so blog any events or anything happens in your area. Industry journal/newsletter: Distill what is happening in the medical community and share with your readers. In a highly regulated industry, there is always news about laws, patents, and techniques that your patients should know about. Finding blog post ideas doesn’t have to be an arduous task once you know where to look. Remember that your readers care about how you can help them in their interests, with their needs, or solve their problems. Write content that addresses those issues, be useful, and consistent and your blog will help your practice reach its marketing goals. Looking for help with your writing? Contact us and we will set you up with the resources you need to run your practice blog.